Manama : Gulf Air's first Boeing 787-9 Dreamliner will be delivered on 27th April and will serve its double daily London Heathrow service, offering increased capacity and enhanced, superior onboard products and services, from 15th of June 2018. The carrier, in a statement to BNA, also revealed it will be operating two kinds of new fleets, which are Boeing787-9 Dreamliner and Airbus A320neo aircraft. 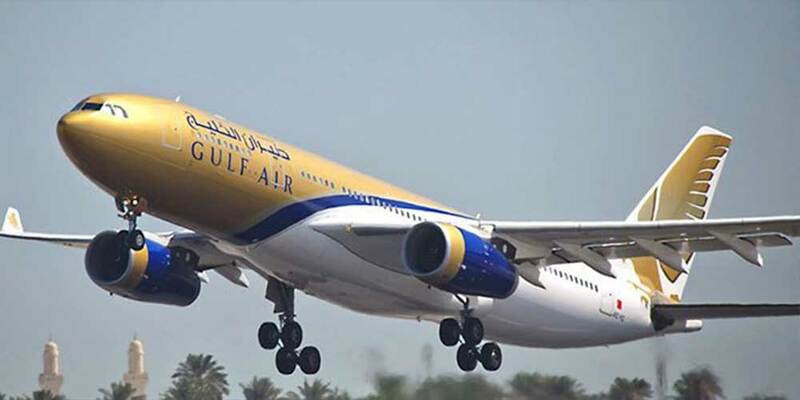 Gulf Air's Boeing 787 Dreamliners will offer 282 seats in a two-class configuration, with 26 Falcon Gold Class seats and 256 Economy Class seats. Passengers will enjoy many improvements with the 787 families such as the largest windows of any jet, air that is cleaner, more humid and at a higher pressure for greater comfort, large overhead bins with room for more baggage, soothing LED lighting and technology that senses and counters turbulence for a smoother ride.